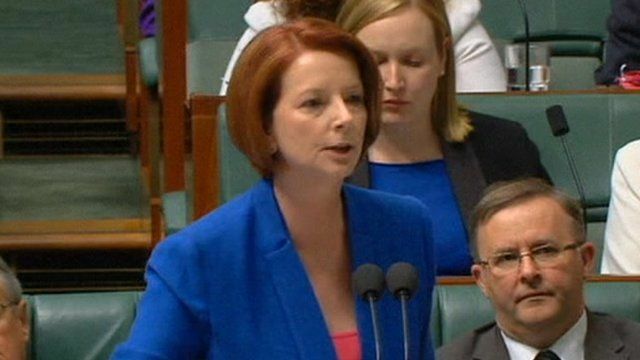 Australian Prime Minister Julia Gillard's attack on the 'misogyny' of the leader of the opposition has gone viral. Video of the speech in the Australian parliament, which criticised the behaviour and history of Tony Abbott, has attracted hundreds of thousands of views, according to the Australian Broadcasting Corporation. The exchange came amid a scandal over the speaker of Australia's Parliament, Peter Slipper, who sent lurid text messages to a former member of staff. Gillard accused Abbott of hypocrisy when it came to criticising sexism.